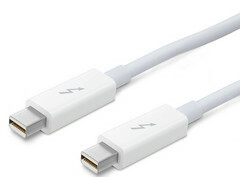 When the Thunderbolt interface was in its initial development phase, the port was intended to use fiber optic cables. 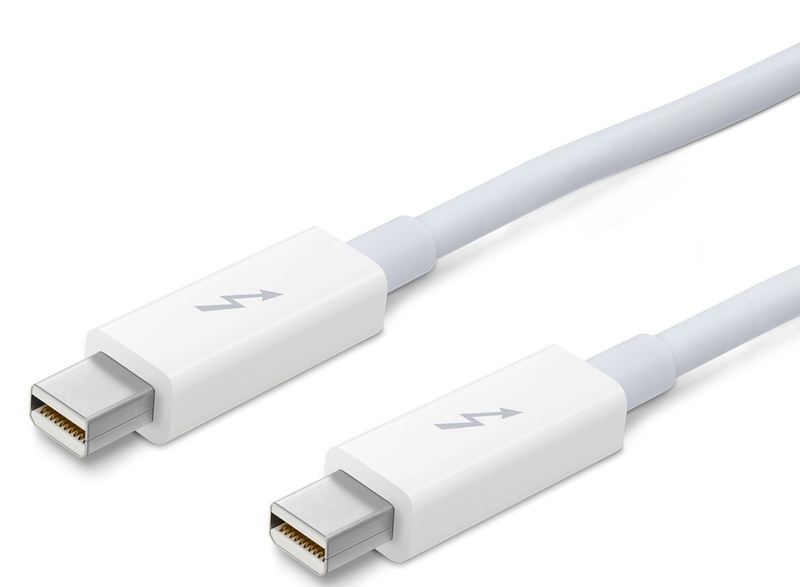 Due to costs, however, Thunderbolt launched with copper-based cables instead, with optical technology planned for a later release. Luckily for current owners of the high-speed interface, Intel spokesperson Dave Salvator confirmed that all 2011 Apple computers with Thunderbolt ports will be compatible with fiber optic cables set to launch sometime in 2012. According to MacWorld.com, the optical cables will allow data transfers over much longer distances compared to copper-based cables, which are limited to about six meters. The new connection can extend over tens of meters, although any distances beyond that will become increasingly more difficult to implement. Exactly how much the optical cable would cost to consumers was not revealed, but don’t expect them to come cheap. Executive VP of Intel Architecture Group Dadi Perlmutter does not see the optical technology becoming mainstream until at least a few years because of speed vs. cost concerns. Additionally, he claimed that current copper-based cables offer more than enough for most everyday requirements today. For an idea of the transfer speeds attainable with copper cabling, see here for an official Intel demonstration of the port on a 2011 MacBook Pro. The Intel spokespersons made no mention of non-Apple devices with Thunderbolt, but we expect these future PCs to be compatible with optical cables as well. Acer and Asus are already planning notebooks with Thunderbolt ports for a 2012 release.